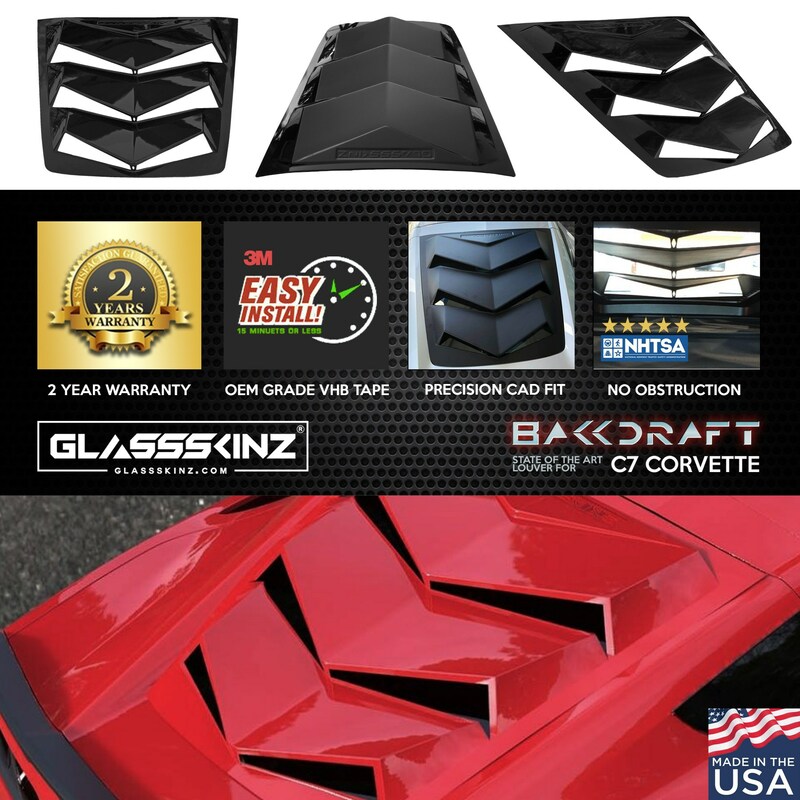 GlassSkinz� 21ST century rear window valence / louver for your 2014-19 C7 Corvette Stingray, Grand Sport, Z06, ZR1 Coupe. �Put the Future Behind You!� U.S. Patent No. D825,419S. Made in USA. Limited lifetime warranty. 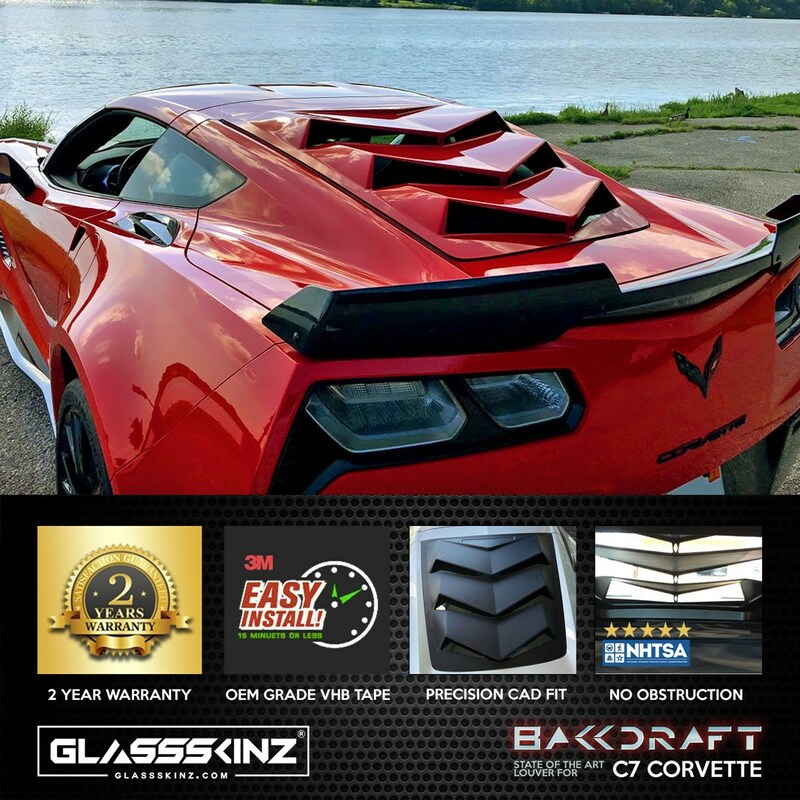 A new day is dawning in automotive styling led by Dare 2B Different!� Motorwerks. We all know the only constant in this world is change. Both evolutionary and revolutionary change bring about new things that often amaze us. 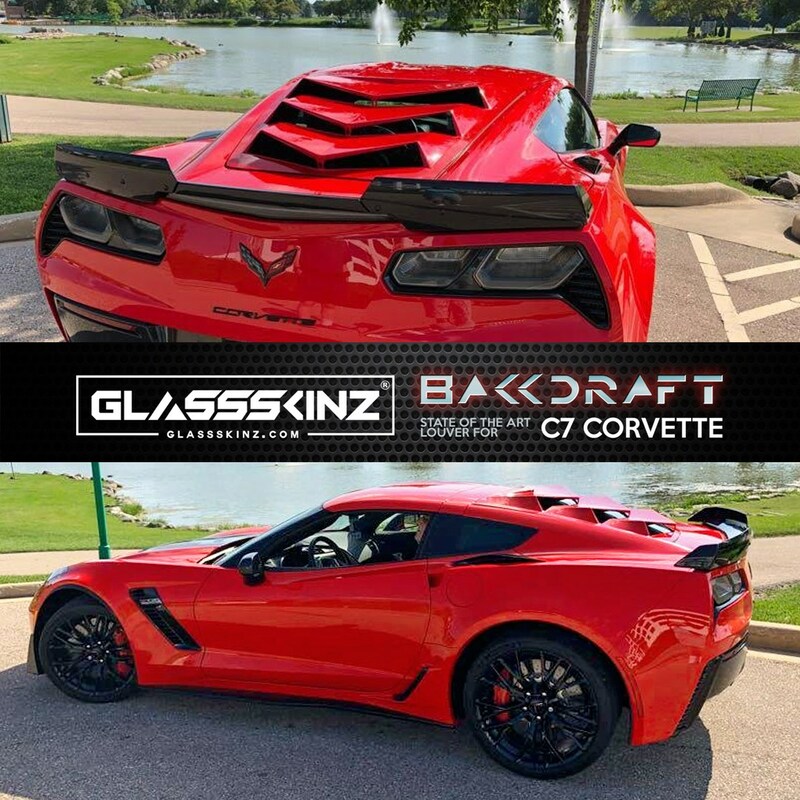 GLASSSKINZ��is Dare 2B Different!� Motorwerks latest design introduction. We have thrived upon these principals since 2004 developing unique niche market products with OEM or better quality. As the automobile market marches into the 21st century, glass is becoming a more and expanding part of styling as new technology allows us to bend it in more extreme ways. The new larger glass panels present a glass scape that remains undeveloped. 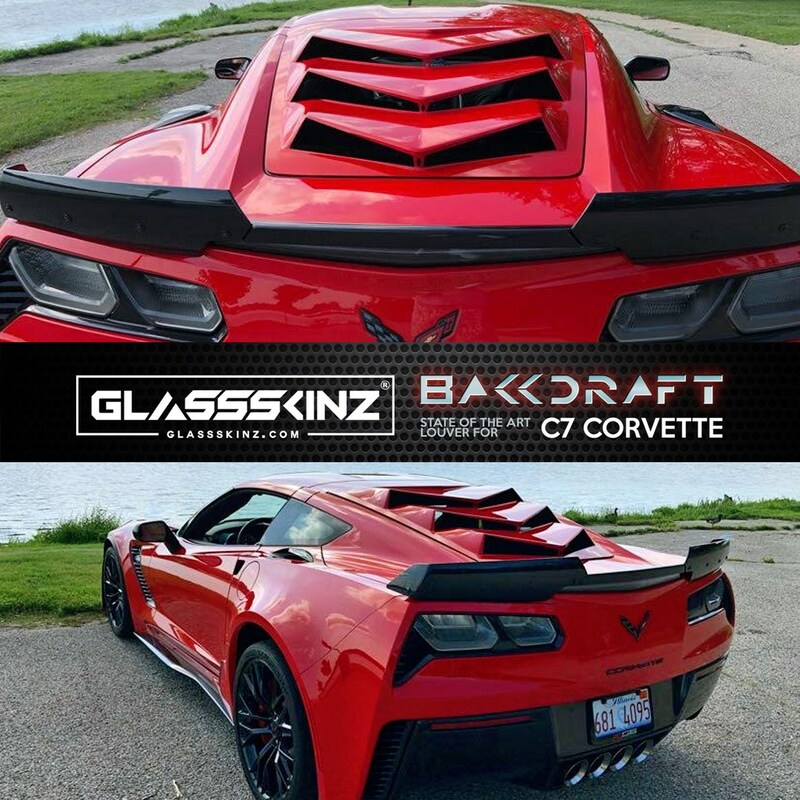 The new C7 Corvettes are a great example of this and have been a great inspiration to us in their modern design. In our eyes, the large rear glass panel is just begging for some styling. 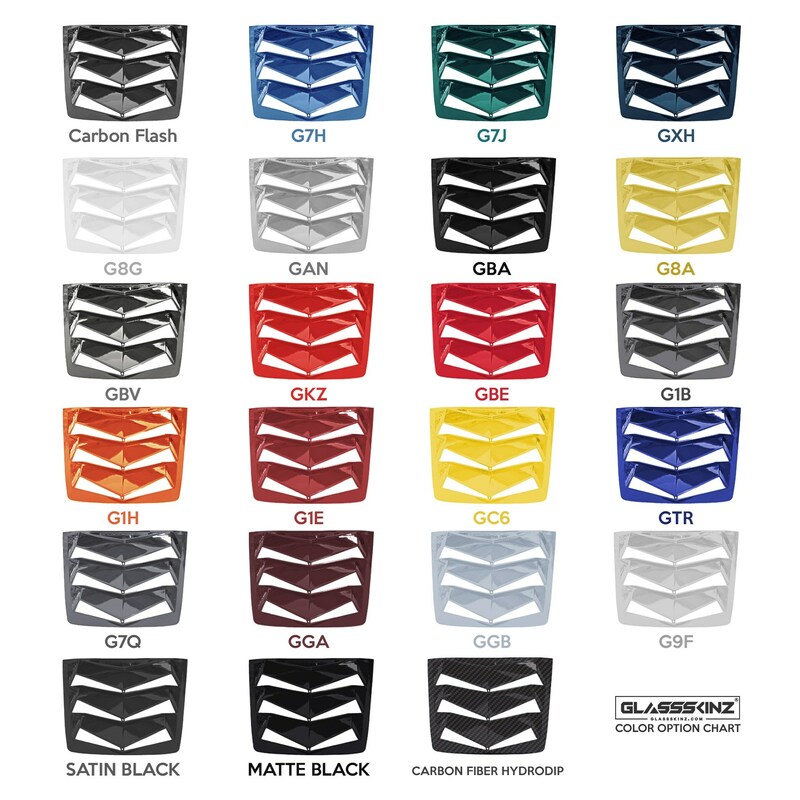 This led to the creation of GLASSSKINZ� a fluid design exercise turned into reality. So unique, the U.S. patent office awarded us U.S. Patent No. D825,419S! 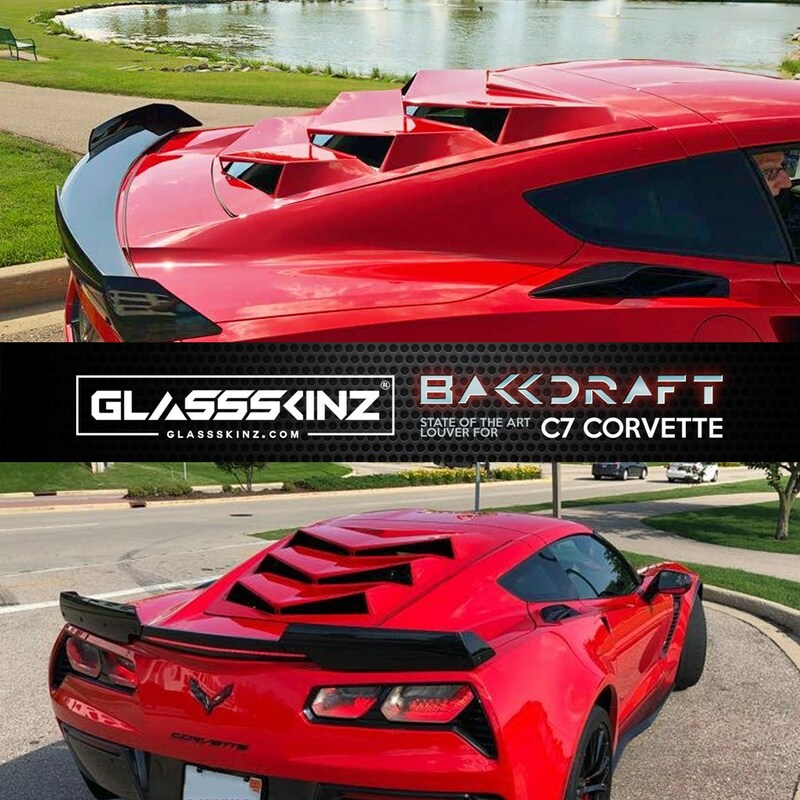 Introducing the GLASSSKINZ� BAKKDRAFT C7 CORVETTE SERIES!